Are you a beginner at the great game of golf? Then allow us to introduce you to the golf clubs. 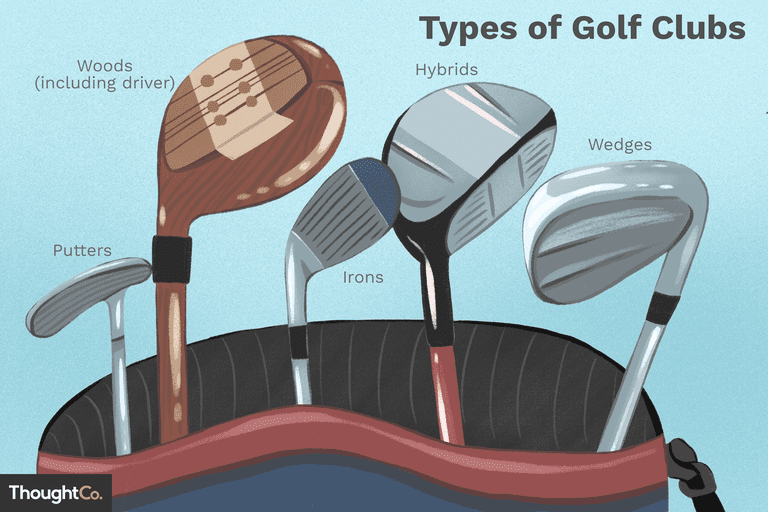 There are several different types of golf clubs in a typical golfer's bag. In fact, today, there are five categories of clubs: woods (including the driver), irons, hybrids, wedges and putters. What are these clubs? What are the qualities of each type of club, and its uses? The following articles offer newbies to golf a general overview of the form and function of each type of golf club. 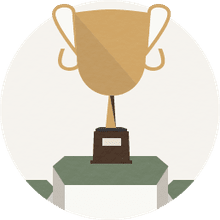 Putters are the most-specialized golf clubs, and the type of club that comes in the widest varieties of shapes and sizes. Putters are used for, well, putting. They are the clubs golfers use on the putting greens, for the last strokes played on a golf hole - for knocking the ball into the hole. There are more varieties of putters on the market than any other club. That may be because choosing a putter is a very personal process. There is no "right" putter. There is simply the putter that is right for you. Putters generally come in three styles of clubhead, and three varieties of lengths. Clubheads: Clubheads can be a traditional blade; a heel-toe clubhead; or a mallet clubhead. A traditional blade is narrow and shallow, typically with the shaft entering at the heel (although sometimes center-shafted). Heel-toe putters have the same general shape as blades, but with extra weight at the heel and toe to add perimeter weighting, and with other design tricks to help make the clubs more "forgiving" on mishits. Mallet putters have large clubheads that maximize that forgiveness of poor contact. Mallets come in a variety of shapes and sizes, some very large and quite unusual. Personality: But what putters boil down to is personal choice. If it feels good to you when you are using a putter, then that putter will probably work just fine. So much of putting is confidence, so having a putter that feels good, that appeals to your eye, that you simply like, can only be a good thing. All putters, regardless of size or shape, are designed to start the ball rolling smoothly, with a minimum of backspin to avoid skipping or skidding. Almost all putters do have a small amount of loft (typically 3 or 4 degrees). Golf clubs have changed quite a bit over the long history of the sport. There used to be clubs with names like mashie and niblick and jigger and spoon. What were those? What did the names mean? Let's go over the names of old, archaic golf clubs. Just for fun.